Today marks 145 years since the 15th Amendment was ratified. The Atlas family has been demonstrating our political power ever since. In 1864, they were considered 3/5ths of a person. Six years later, they had the ability to affect change just by marking their selections on a ballot. Once the 15th Amendment was ratified 145 years ago (February 3, 1870), members of the Atlas family eagerly took advantage of their newfound rights. 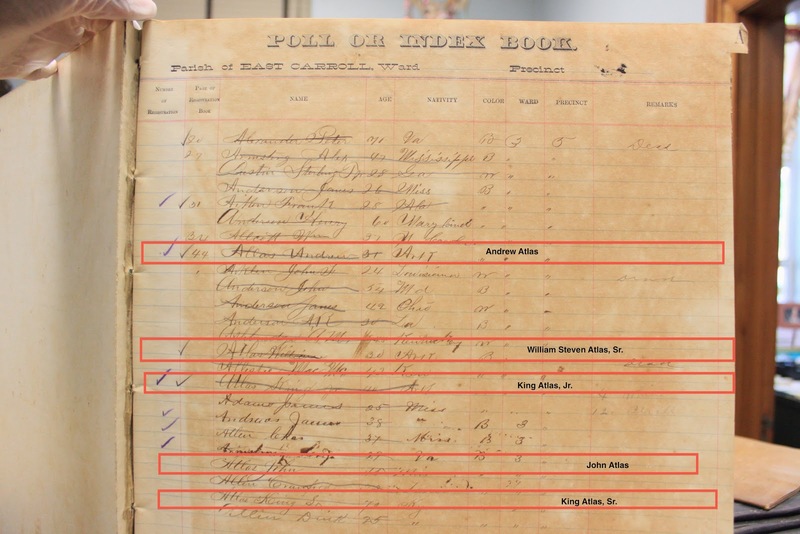 Our research team has found records where ancestors were registered voters as early as 1874. We also have found rare registers of voters as early as 1880 at the Registrar of Voters office in East Carroll, Louisiana. "...by unlawful and violent conduct and threats, [they] intimidated the colored voters of said parish, and snatched their ballots from their hands as they approached the polls to vote, and forced them to take and vote other ballots than those they had and were going to vote, thereby wrongfully and fraudulently procuring, by force and intimidation, votes in his and your interest; which violent conduct was persisted in throughout said day at said poll, in violation of the freedom of election secured by law." 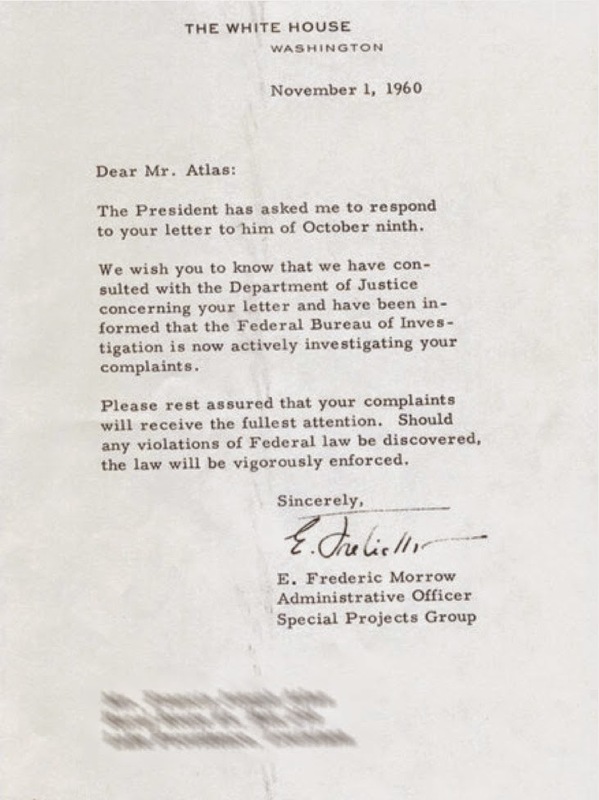 Letter from E. Fredric Morrow to Rev. 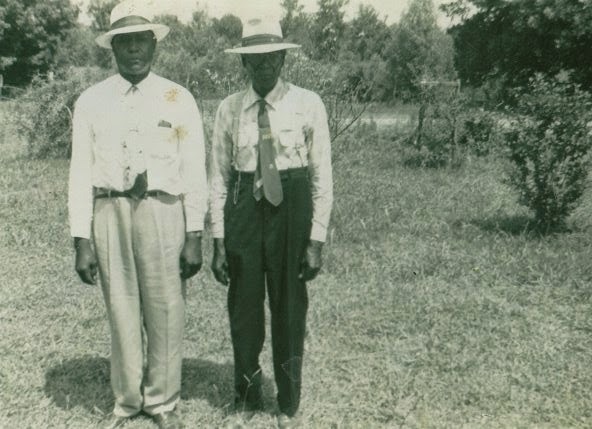 Francis J. Atlas, Sr.
Once Jim Crow's wrath ensued, the family went an entire generation without voting despite the fact that family members were land owners, literate, and paid poll taxes. 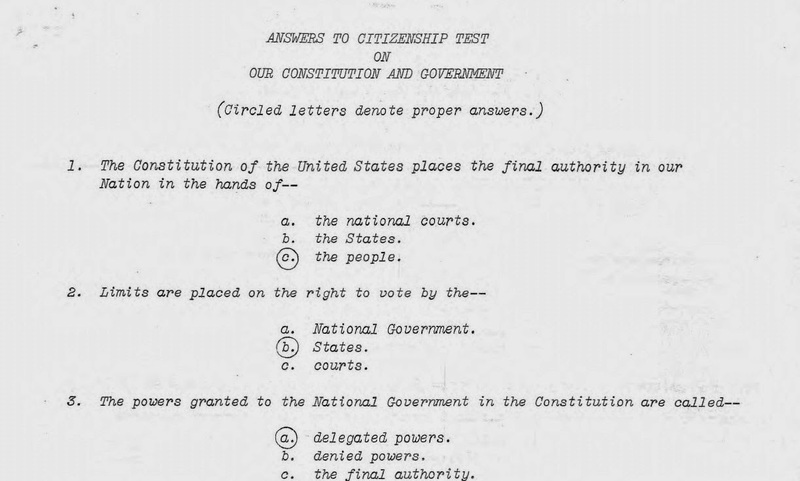 Enter literacy tests, economic disenfranchisement, and more. Eventually, a suit was filed and Rev. Francis Joseph Atlas, Sr. was chosen to testify in front of the US Civil Rights Commission in 1960. Following his testimony, area merchants attempted to economically disenfranchise him from the area. Eventually, he reached out to the White House for help. 5 years later, President Lyndon Johnson passed the Voting Rights Act which turns 50 this year.